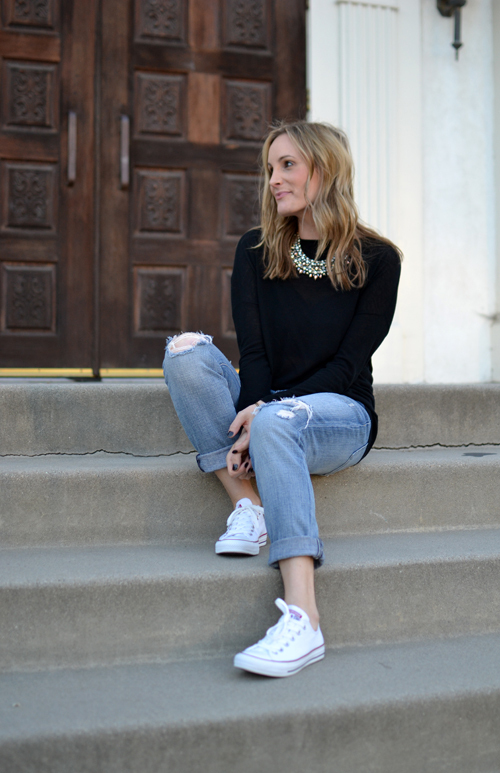 There's nothing like an amazing statement necklace to dress up a pair of sneakers and boyfriend jeans. So casual glam, right? I'm completely obsessed with this one from Stella & Dot, so don't be surprised if you see me wearing it again in the very near future. And yes, these are my third pair of Converse sneakers (don't judge!). What can I say, when it comes to shoes, I don't discriminate. I love a great sneaker just as much as I love a great heel. Happy Halloween! Love this look! That necklace is gorgeous! I love this, lady! 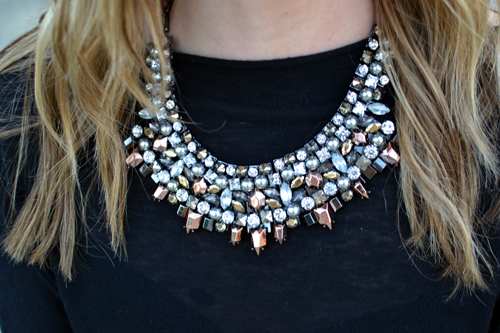 The casual outfit with the statement necklace is perfection! And I love the converse with it! Super cute! Happy Halloween! I love how you paired this with a statement necklace. I have those converse and can't wait to recreate this look! Excited to have found your beautiful blog!! This outfit is so fun & chic... plus I love that you added a glam necklace to this laid back look, gorgeous! Happy Halloween! This is totally up my alley! Love the touch of glam with the necklace mixed in with the converse. Gorgeous! Obsessed with this outfit and that necklace is amazing! 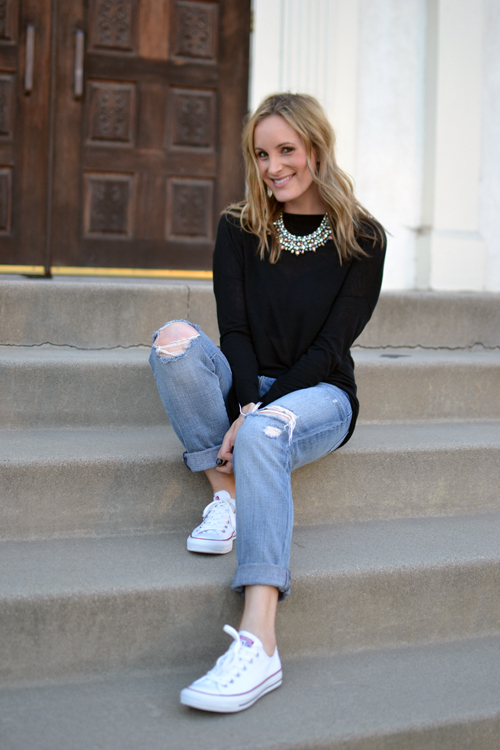 I love the statement necklace with a casual shirt or sweater! You pulled it off well!